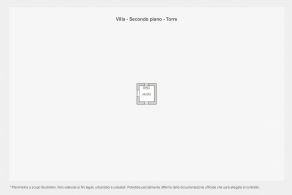 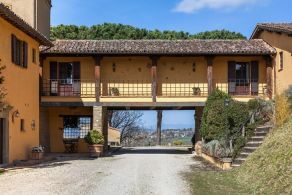 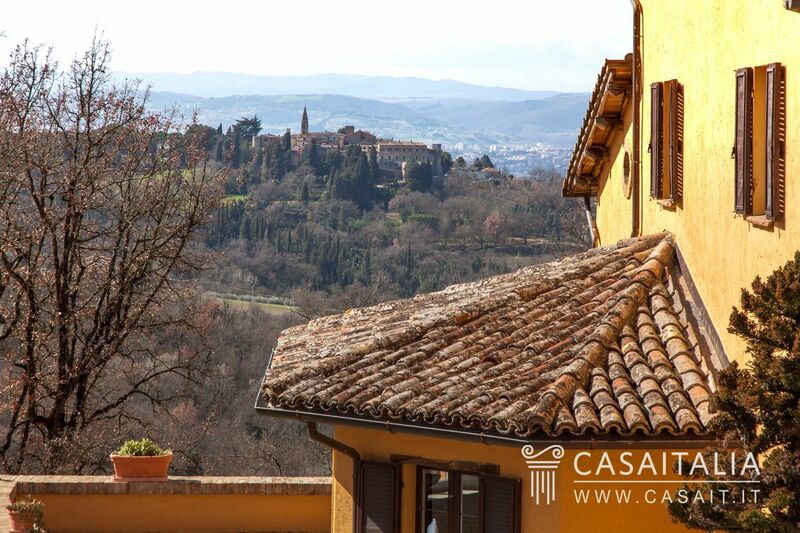 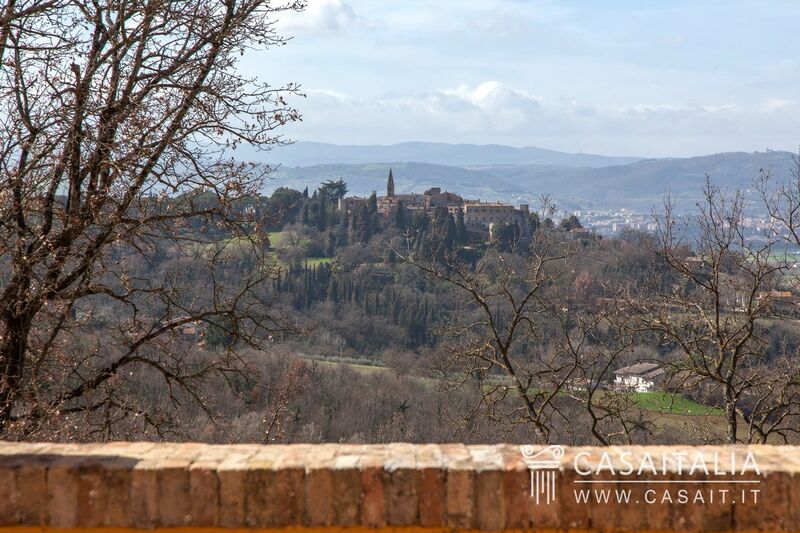 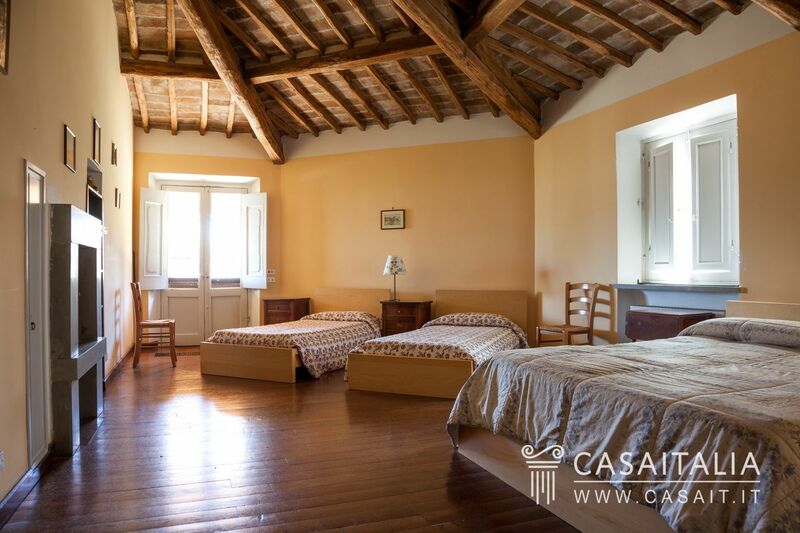 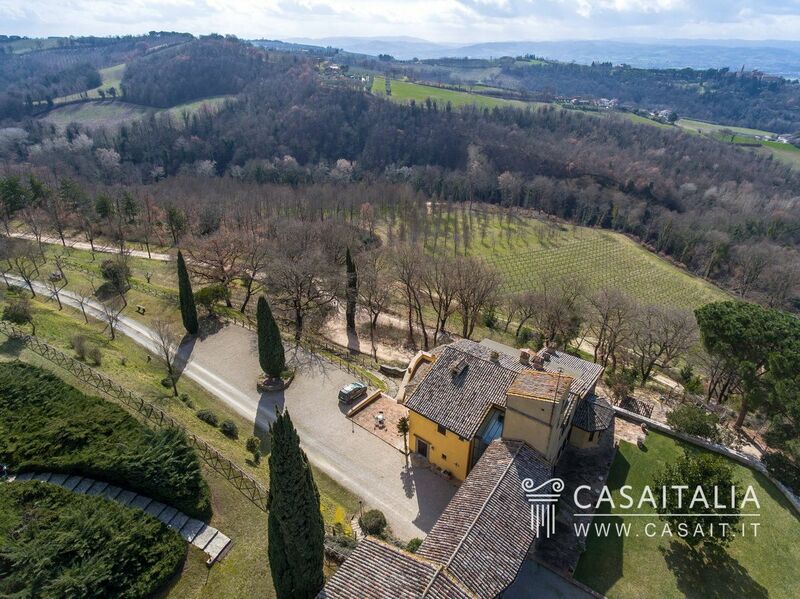 Villa Magnolia is in a panoramic location, in the hills of Collepepe, a picturesque medieval village halfway between Todi (20 km) and Perugia (25 km). 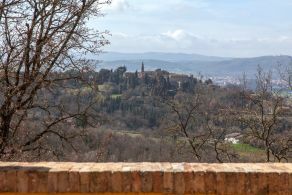 Overlooking the Tiberina Valley, the area has always been of great strategic importance thanks to its central location in relation to Umbria’s main historic centres: it is possible to reach Foligno (34 km), and Assisi (40 km) in half an hour by car, and in less than an hour to reach Spoleto (48 km) and Orvieto (54 km). 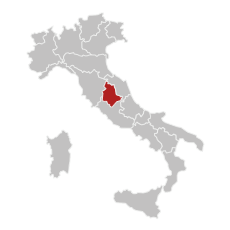 The nearest airport is Perugia, 27 km away, while Rome’s airports are around two hours’ drive away (Ciampino Airport 162 km and Fiumicino Airport 180 km). 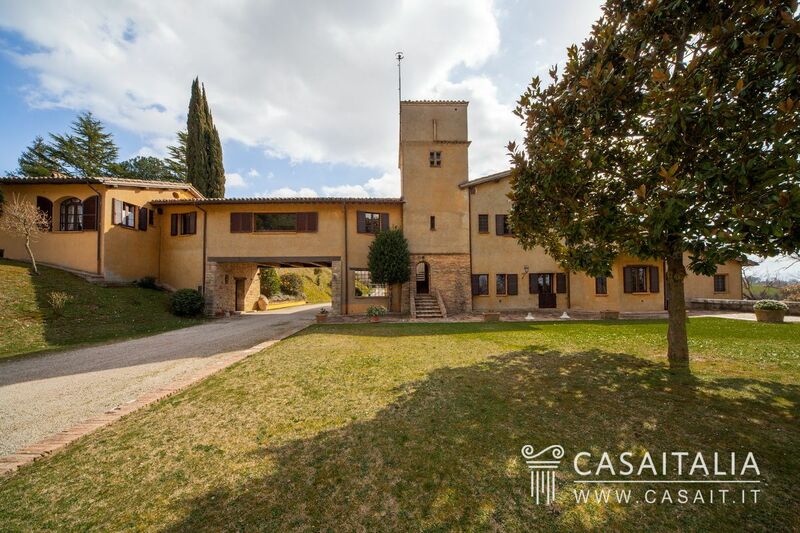 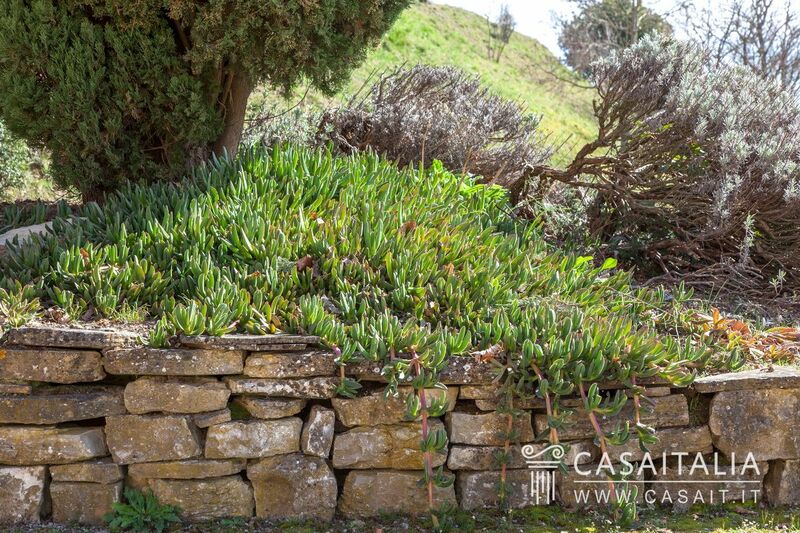 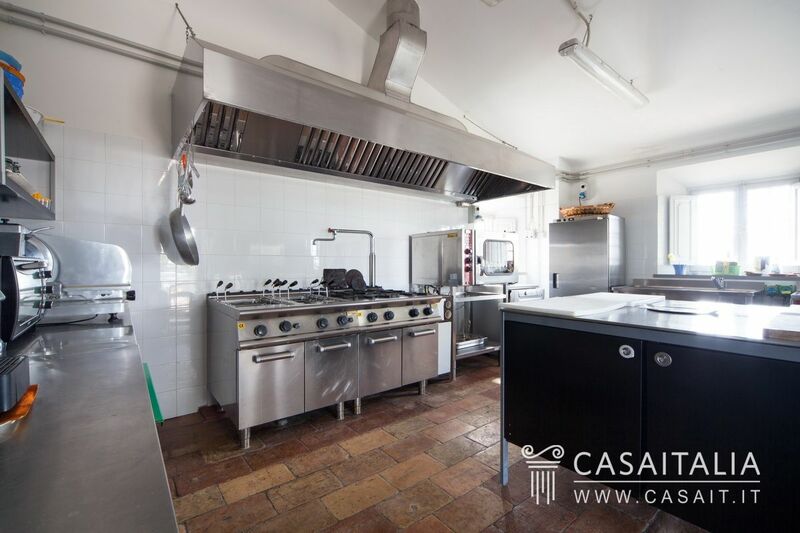 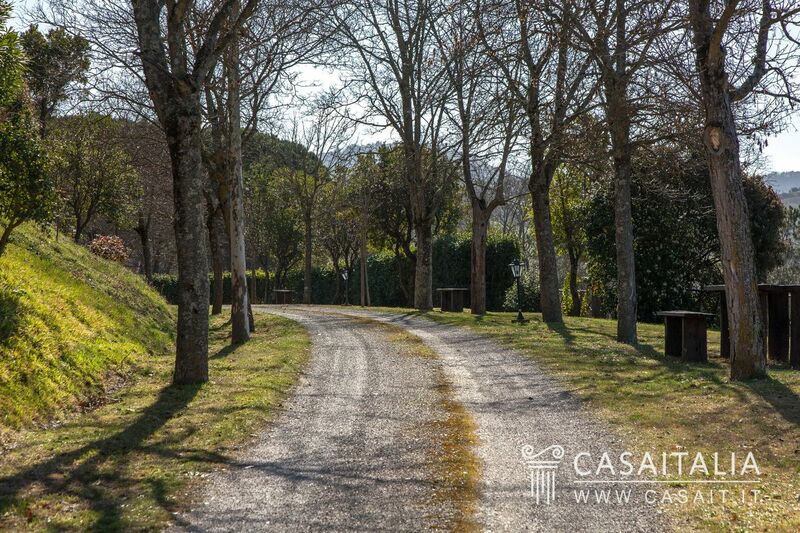 The property comprises the large main villa, an annex with cellars and storerooms, the grounds with swimming pool (with technical area), and around 22 hectares of land with vineyard, olive grove and woodland. The villa is formed from a combination of buildings which, since the 1600s, have been added to, finally creating the current, unique structure. 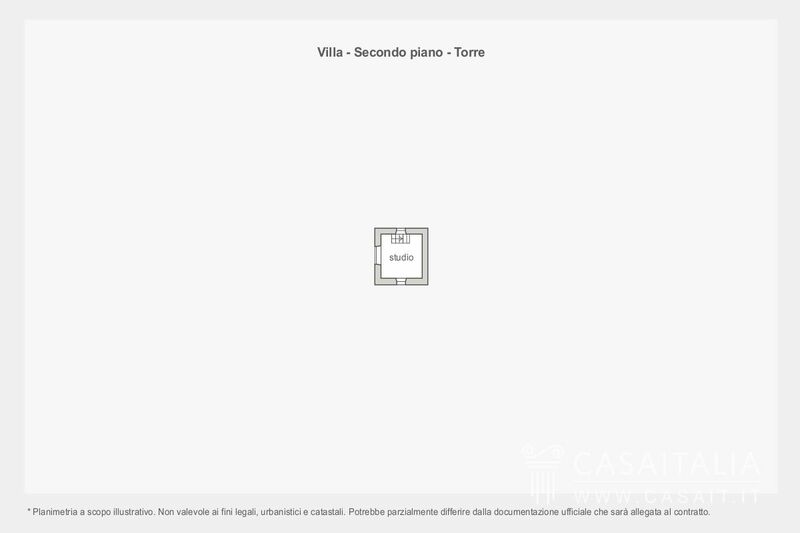 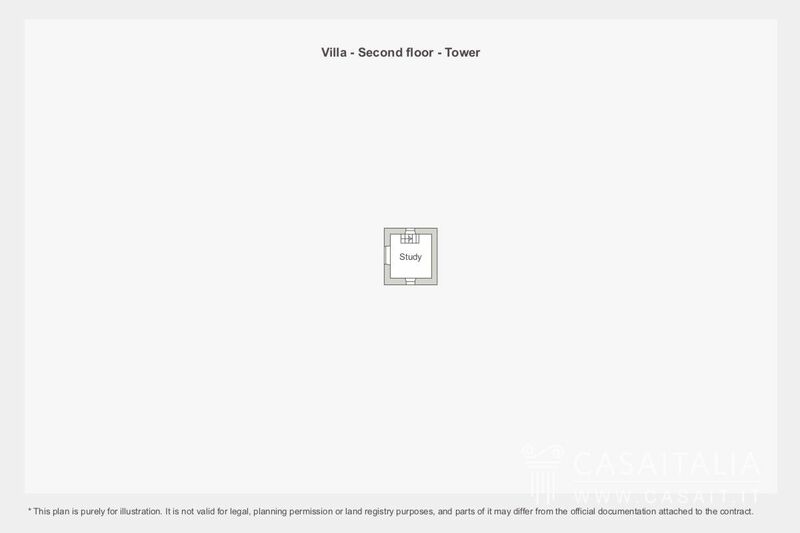 With many floors, which follow the incline of the land, the villa has a total surface area of over 1,000 sq.m. 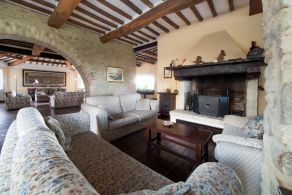 The main entrance is on the floor with the living area, with a large reception room with fireplace, used as a sitting room, the dining room, a large industrial kitchen and two guest bathrooms. 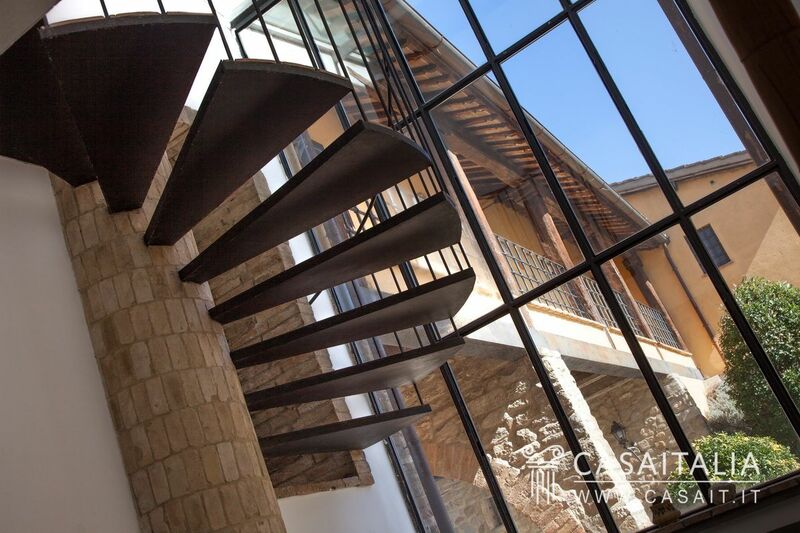 From the living area, one can enjoy the panoramic porch and many paved outdoor areas, ideal for outdoor dining. 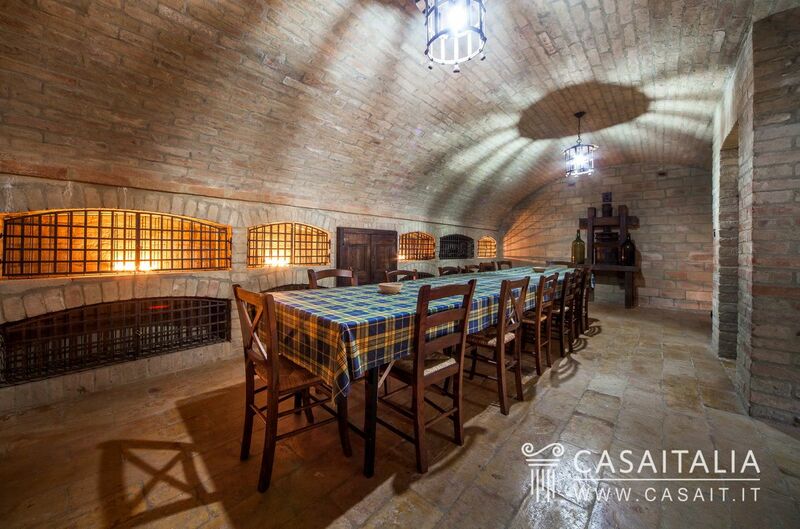 Also on this level but with its own entrance, there is a cellar for wine storage and tasting. 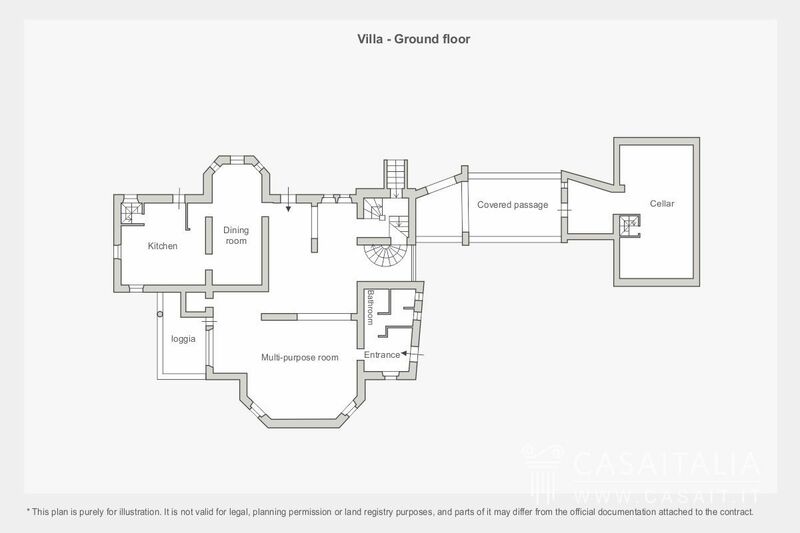 The first floor of the villa is divided into two wings, connected by a gallery which is used as a sitting room/studio, with double access to an outdoor porch, and features a small sitting room, three bedrooms with en-suite bathroom and a panoramic terrace on the right side; while on the left side there are two further bedrooms with en-suite, one of which also has a small kitchen, each with its own entrance from the garden. 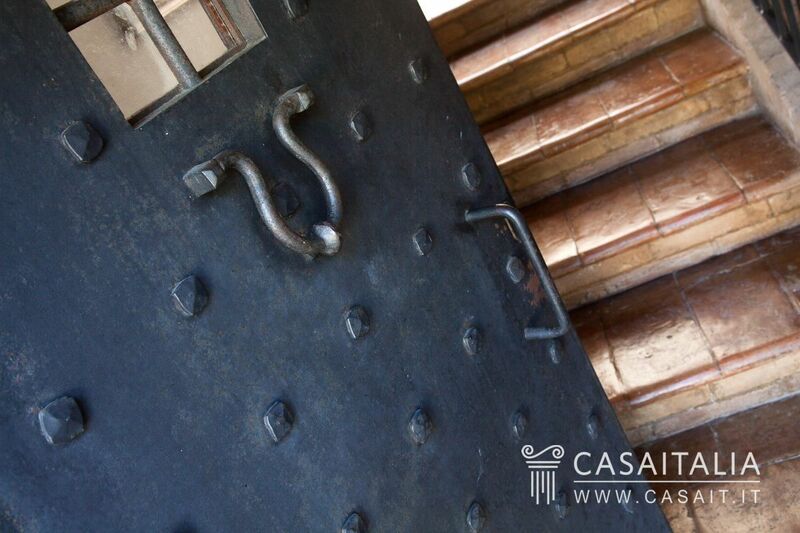 Access to the tower, currently used as a studio, is via a passageway between the right wing and the gallery. 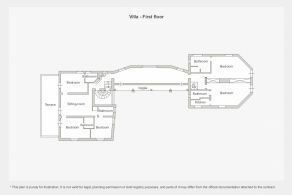 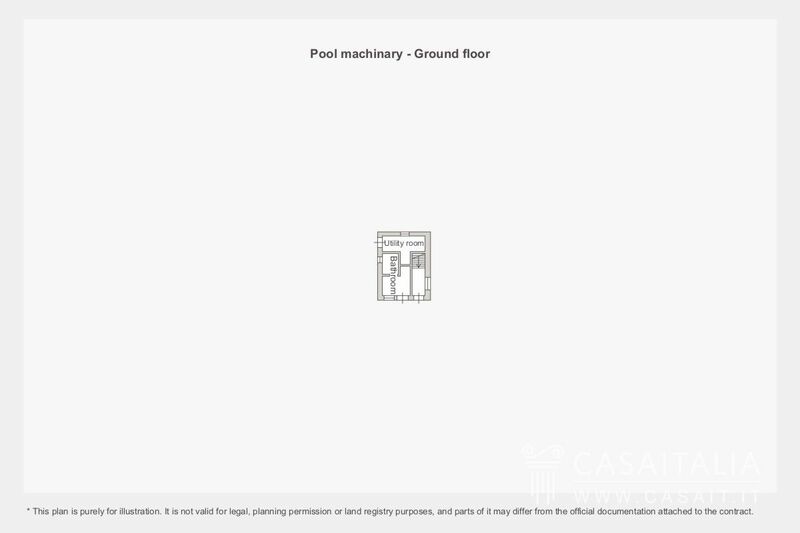 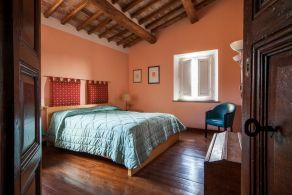 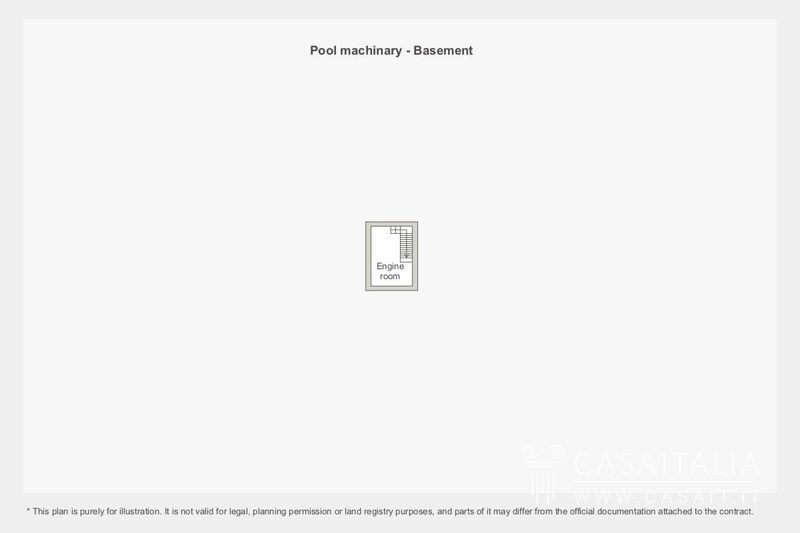 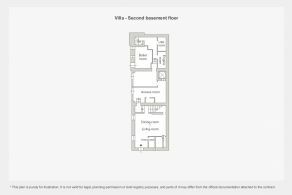 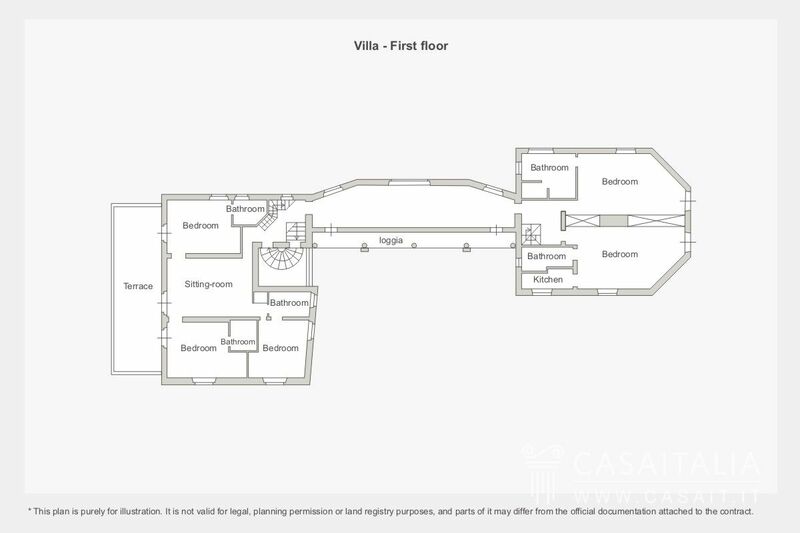 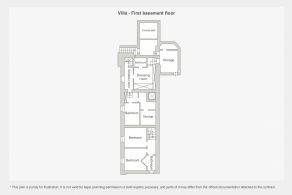 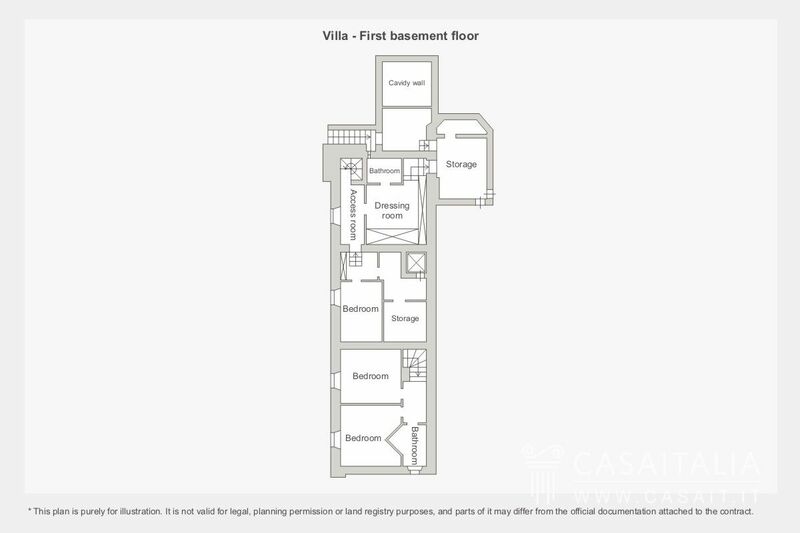 The ground floor of the villa is also connected, both by an internal staircase and a lift, to part of the two lower floors, which are divided into: bedroom, ironing room, two storerooms, bathroom on one level and utility areas (oven, central heating, storage etc.) 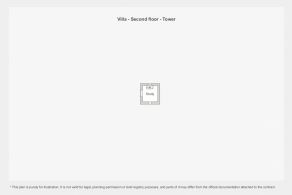 on the lower floor. 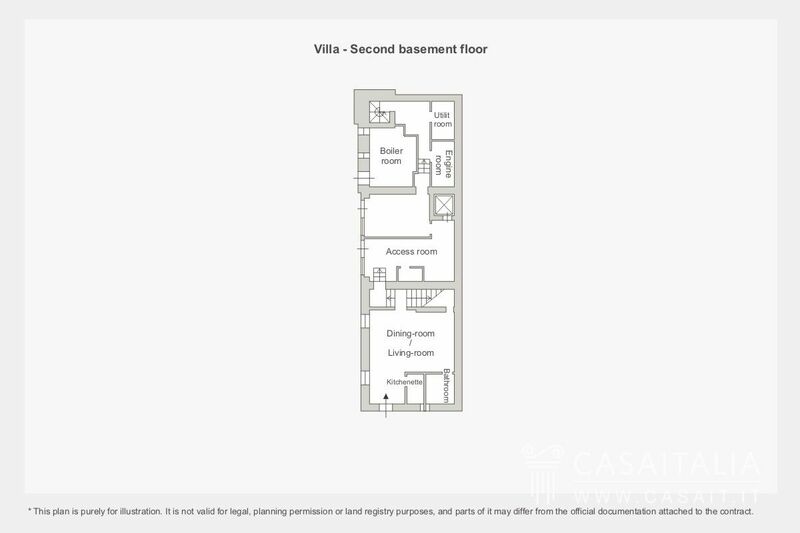 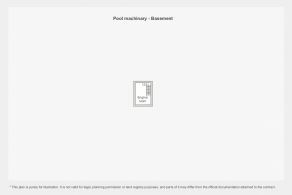 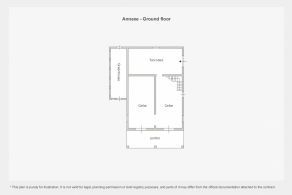 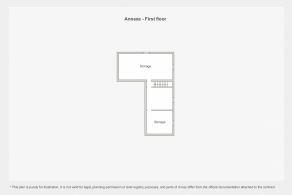 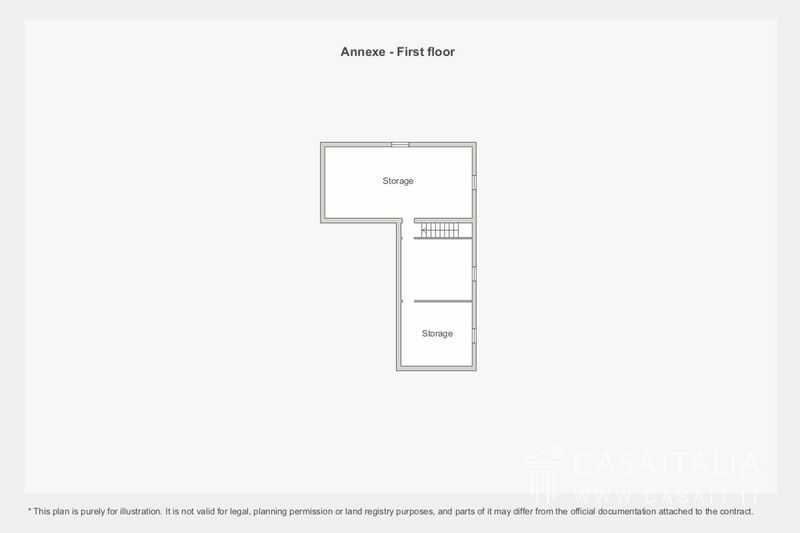 In the remaining part there is a studio with its own entrance, kitchenette and bathroom and, also with their own entrances, two bedrooms and a bathroom on the floor above. 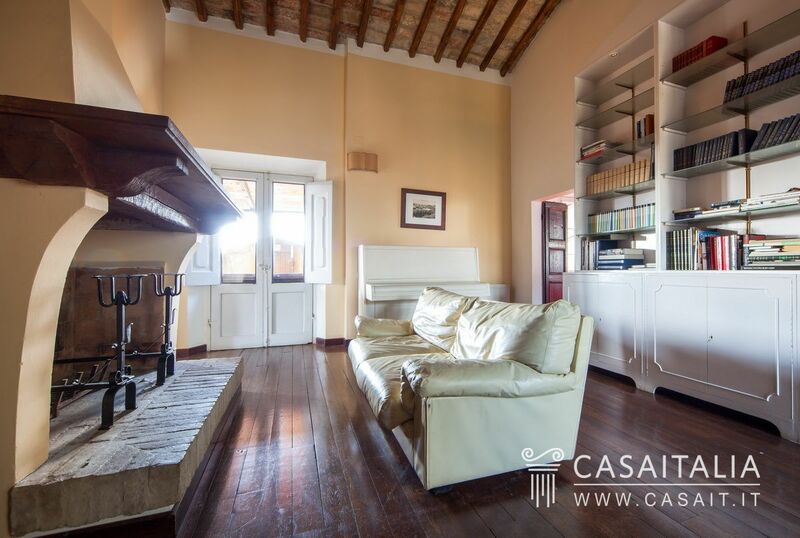 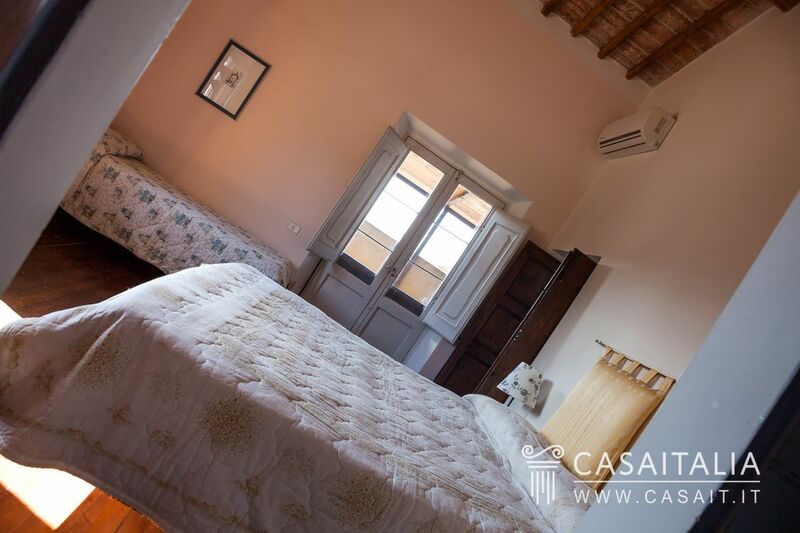 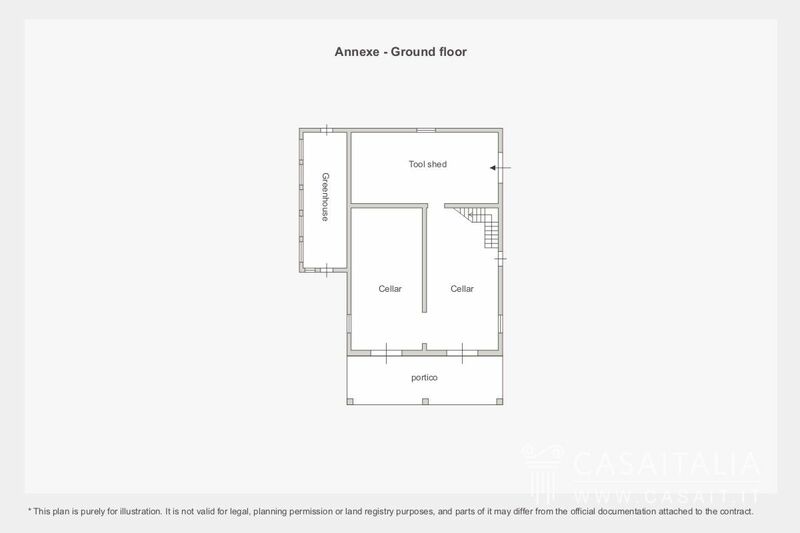 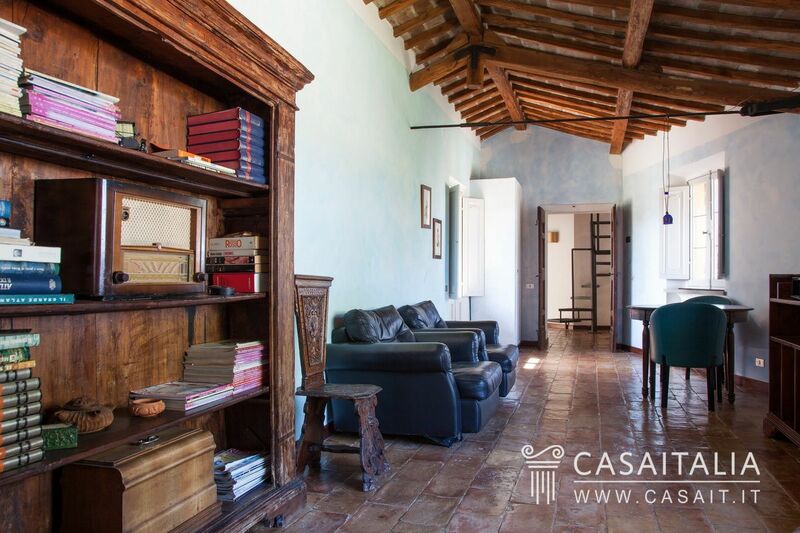 The annex, which is not far from the villa, in the olive grove, has two floors and a total surface area of 328 sq.m and is used as a cellar and storeroom. 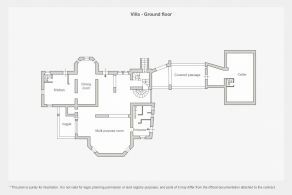 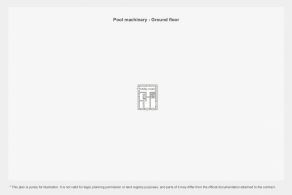 Comprising bathroom, storeroom, pump area and two tanks. 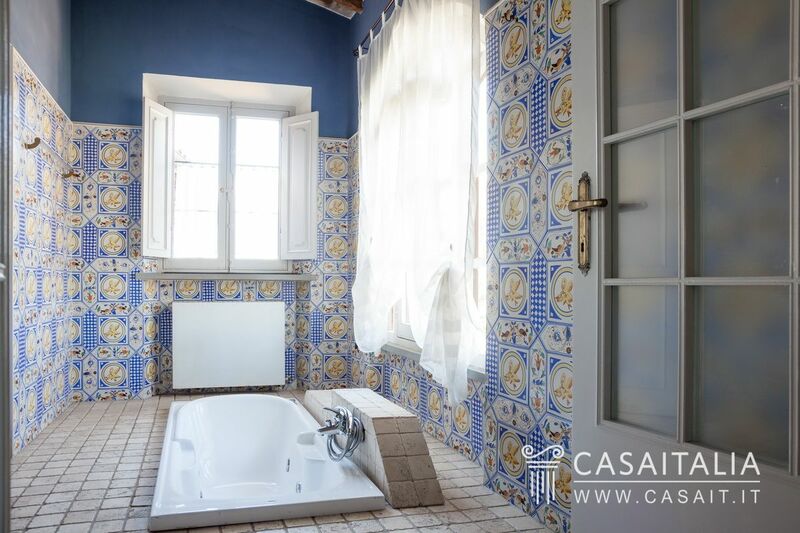 The property was restored a few years ago using high-quality materials and is in good general condition, requiring no work other than the eventual modernisation of some of the bathrooms. 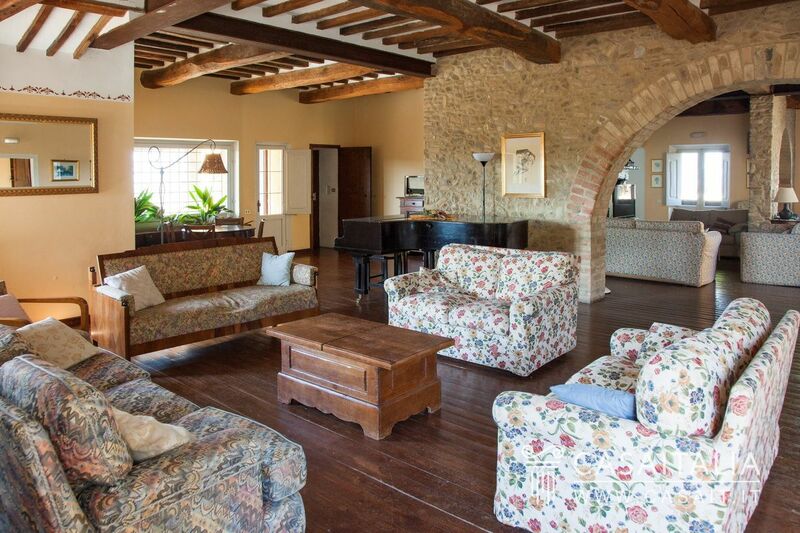 Inside it is well-structured, with large, attractive living areas, with some walls featuring exposed stonework. 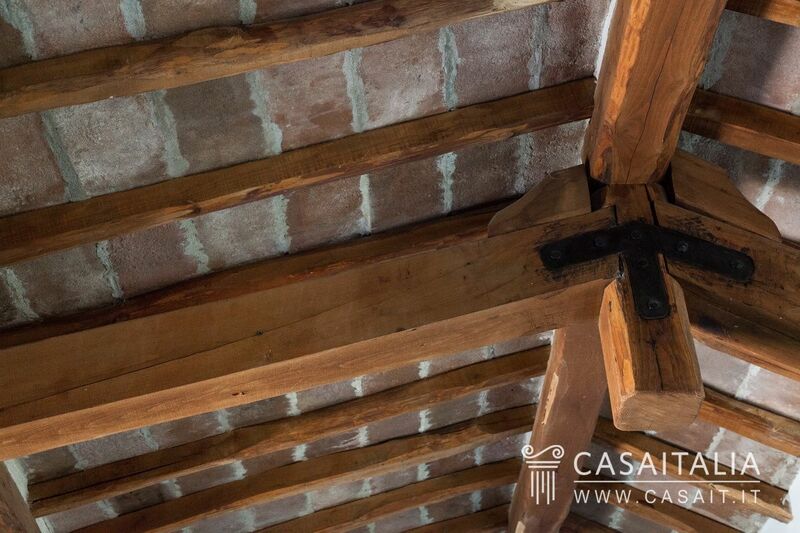 The floors are mostly wood, as are the ceilings. 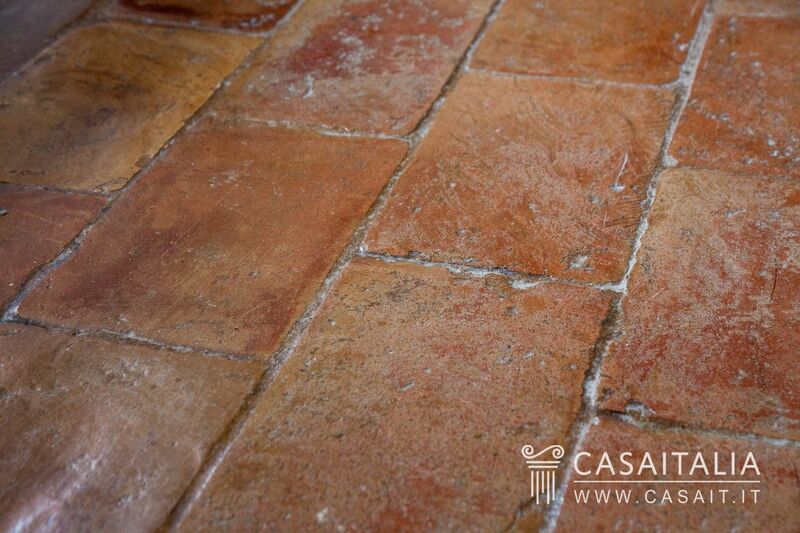 There are pretty, tiled floors in the connecting gallery between the two wings, in the picturesque cellar for wine-tasting and in the large industrial kitchen. 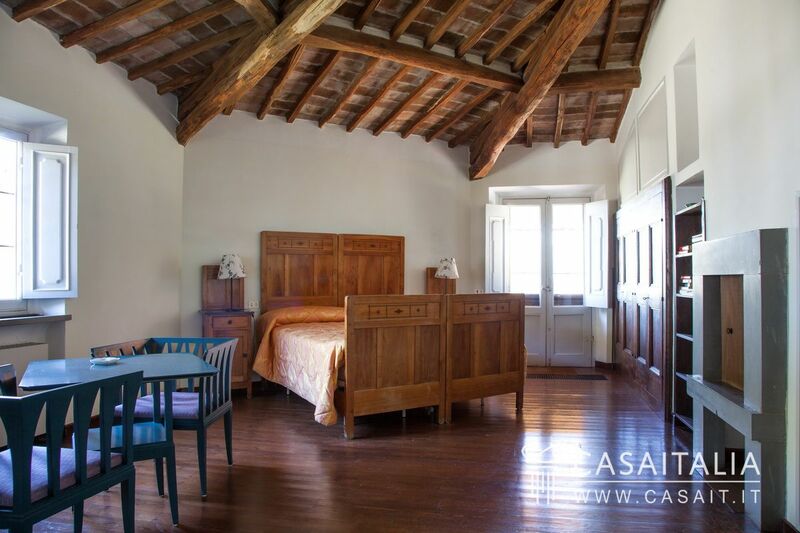 Villa La Magnolia is surrounded by 22 hectares of private land, with around one hectare of vines (sangiovese, cabernet, merlot, gamay perugino and sagrantino), 600 olive trees, a fertile woodland (with around 2,500 walnut, cherry and alder trees), an artificial lake for collecting rainwater, and the remaining natural woodland. 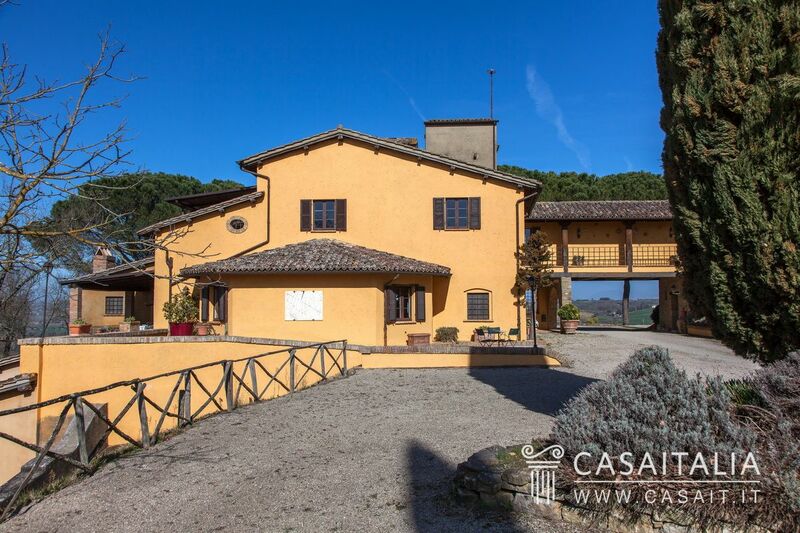 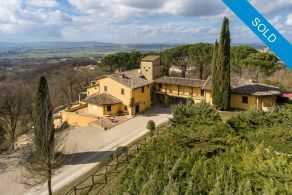 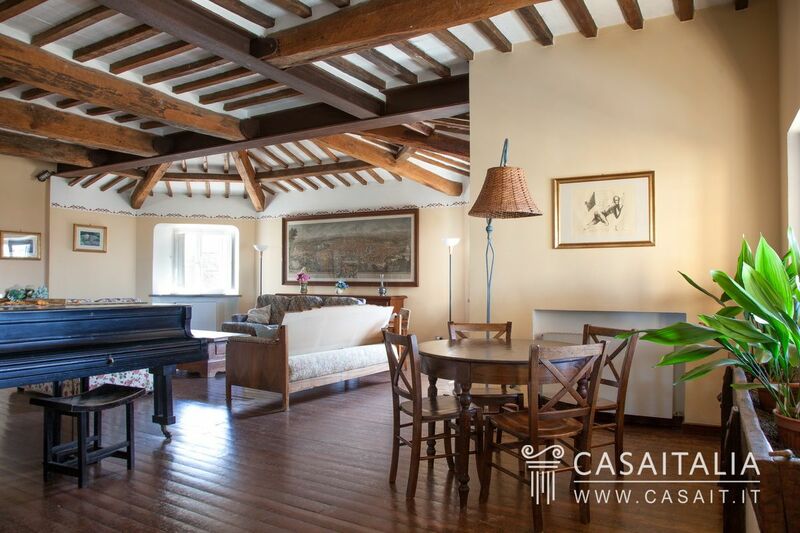 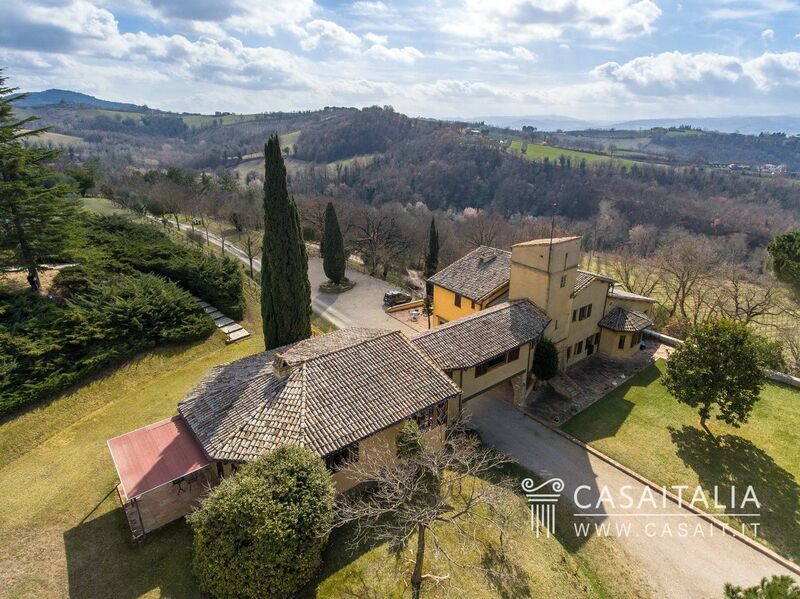 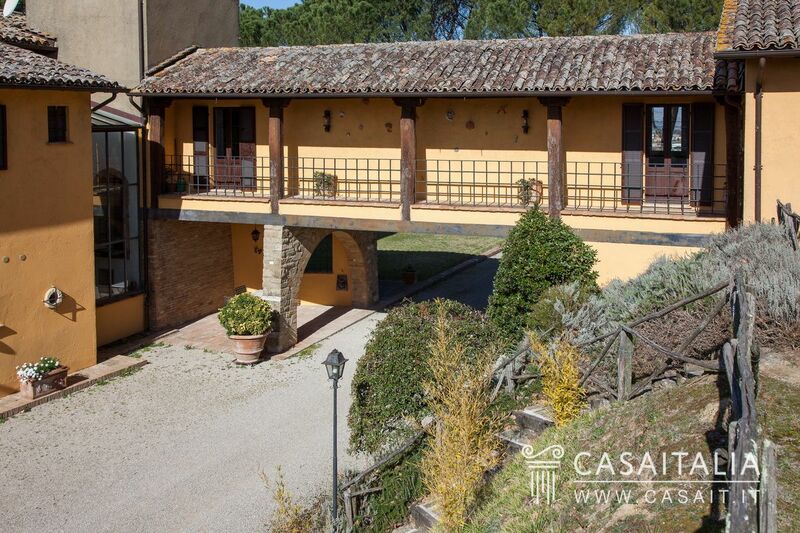 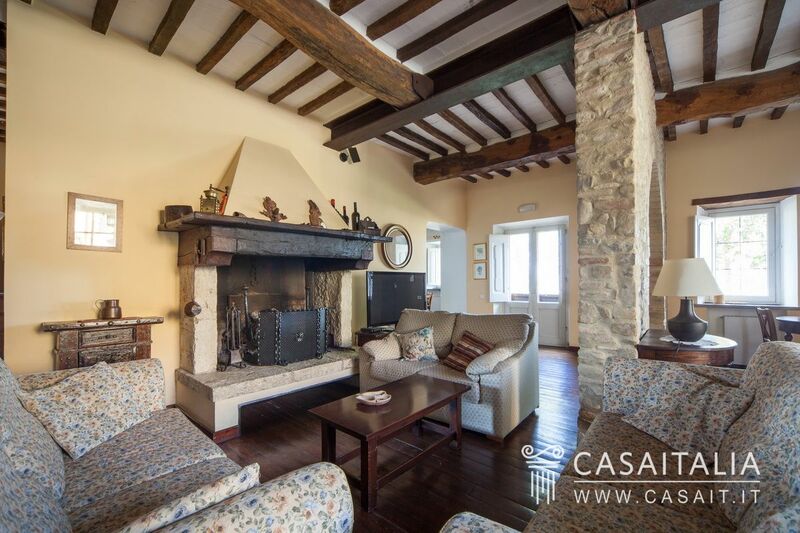 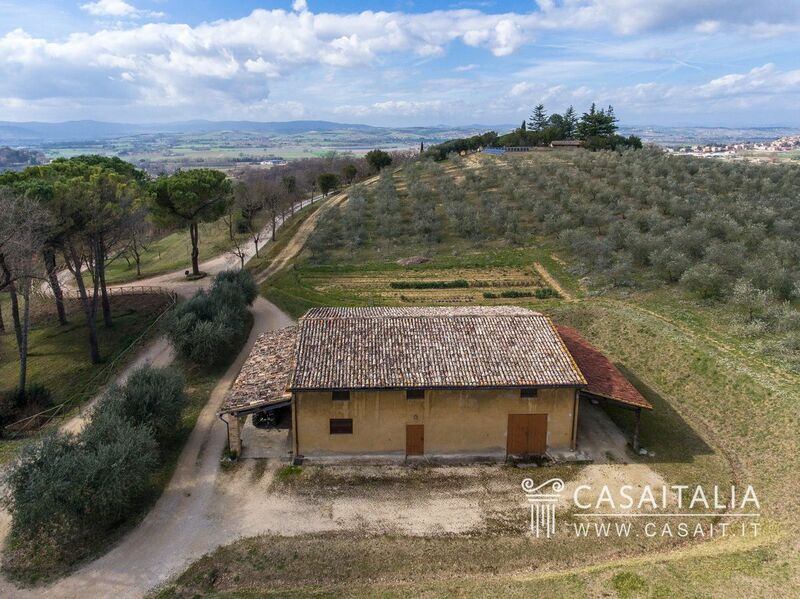 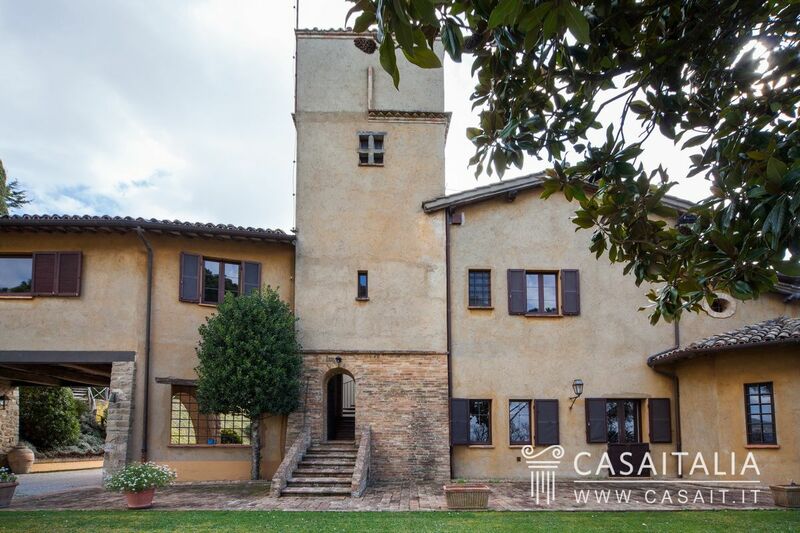 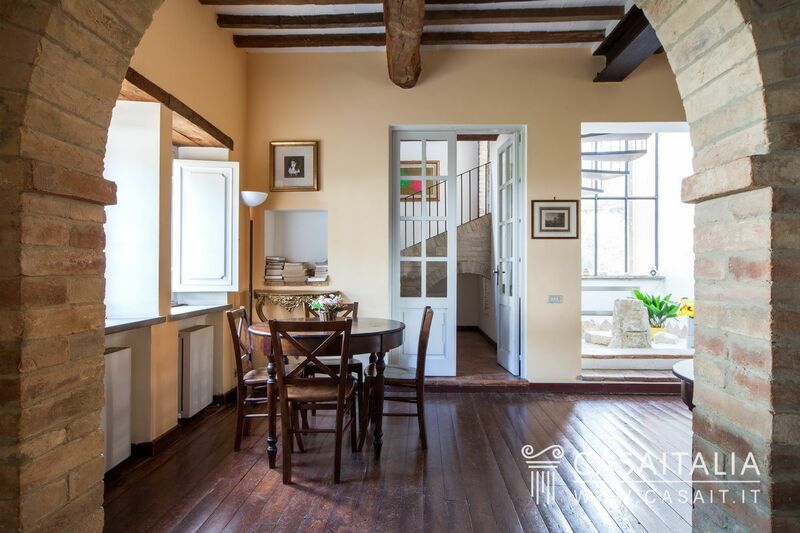 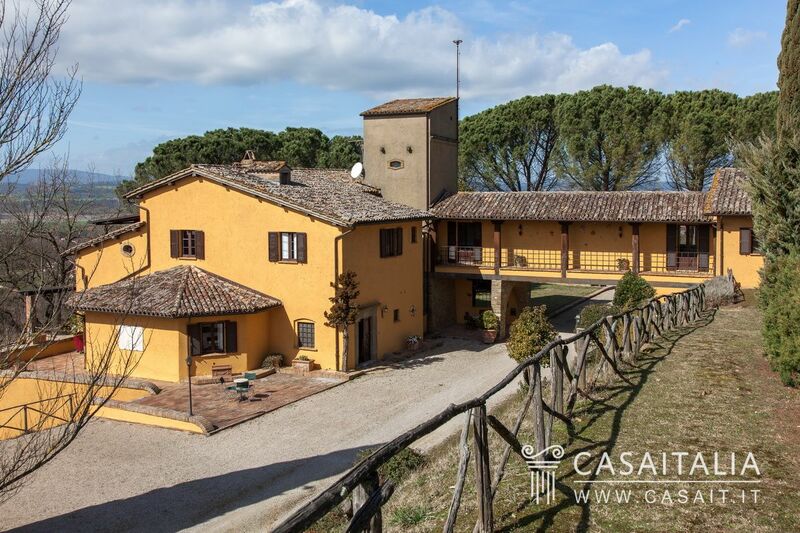 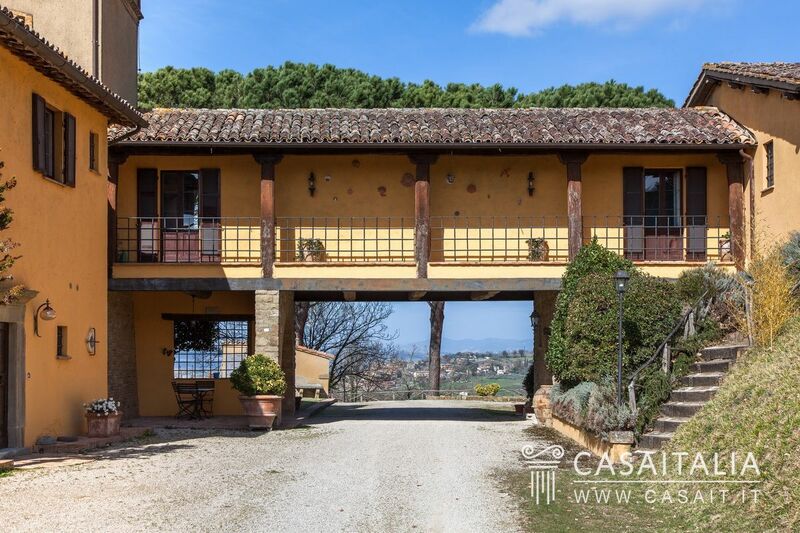 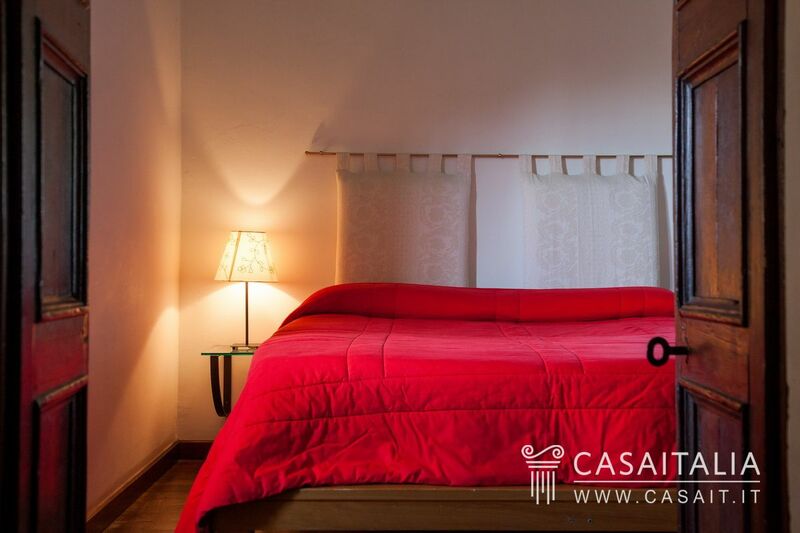 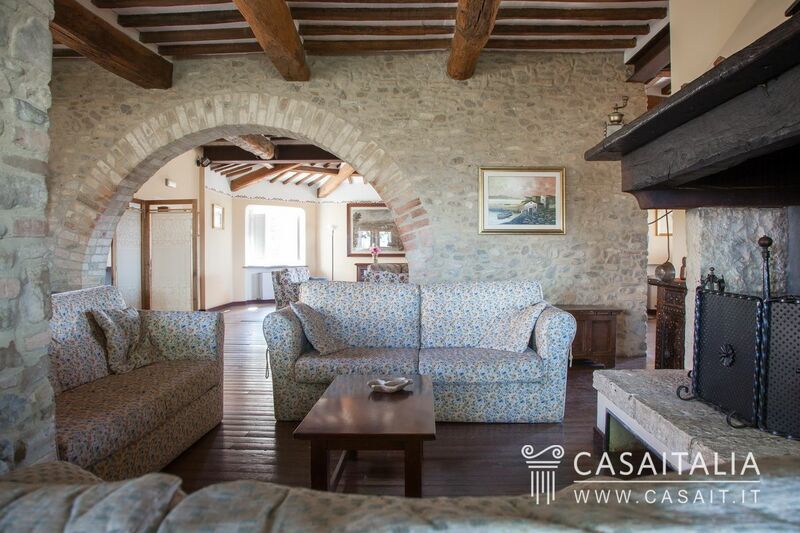 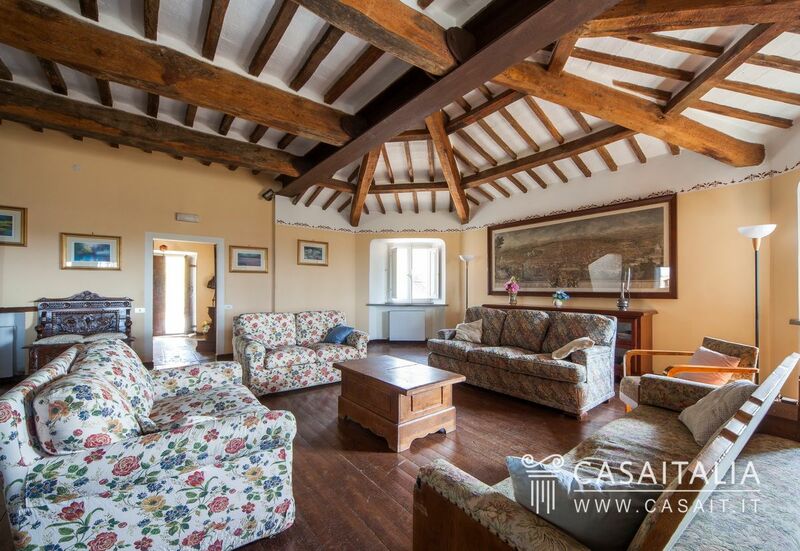 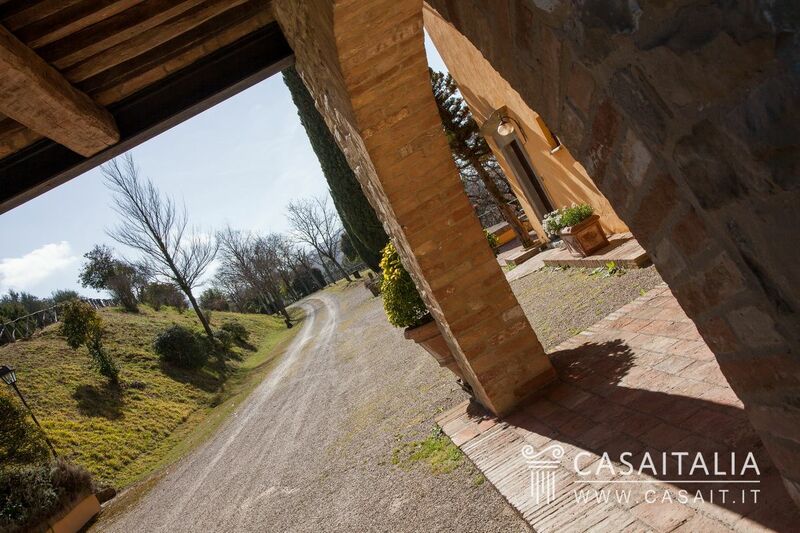 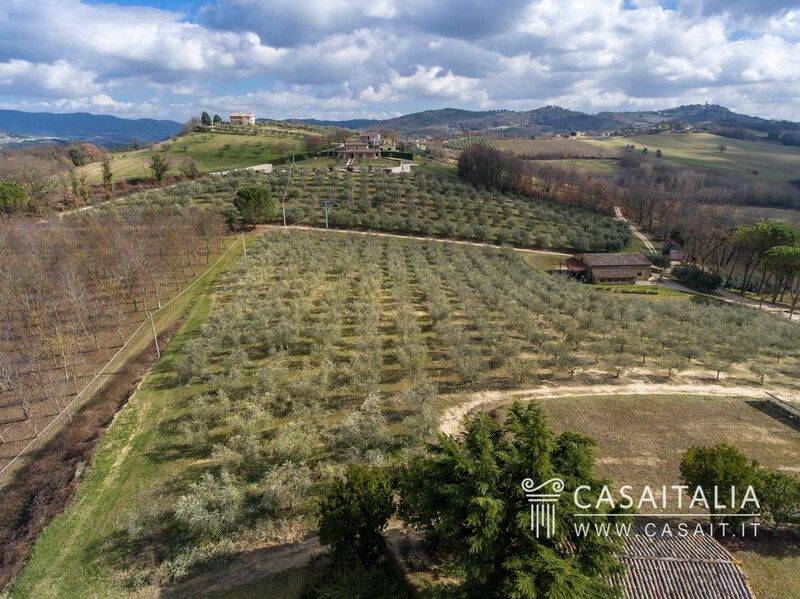 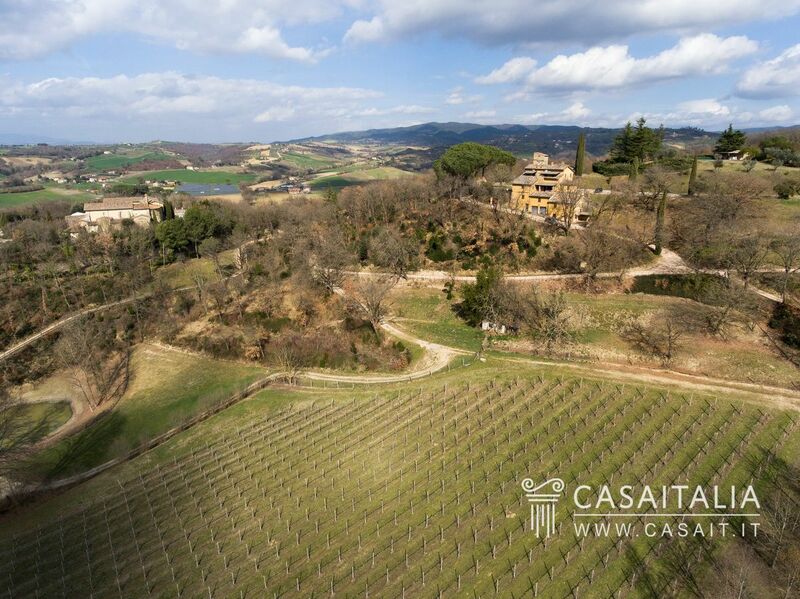 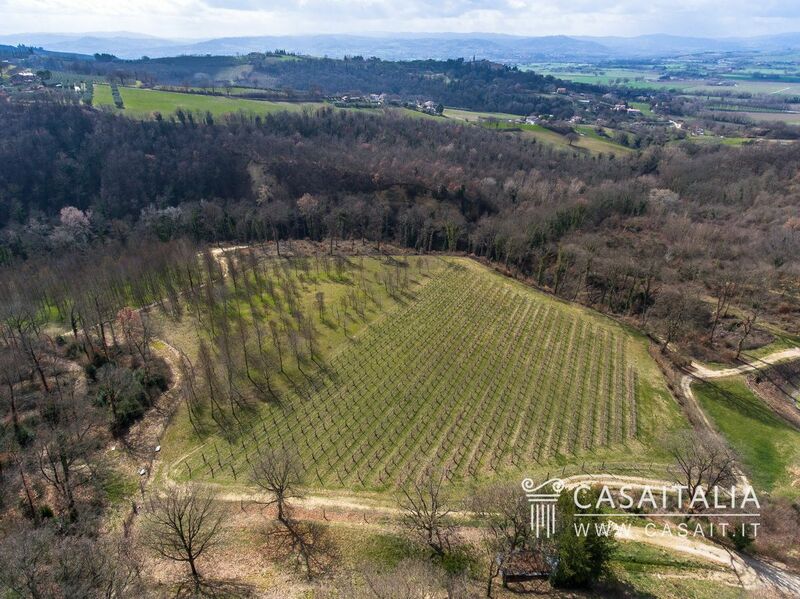 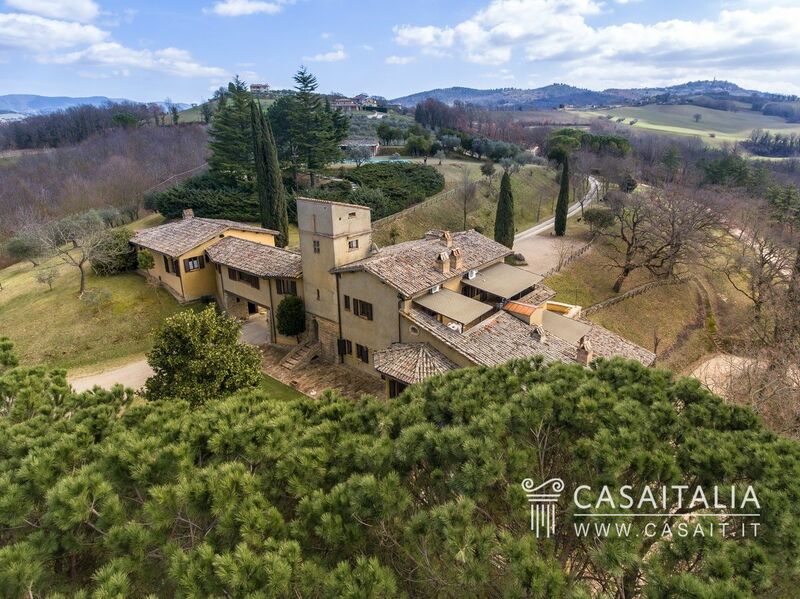 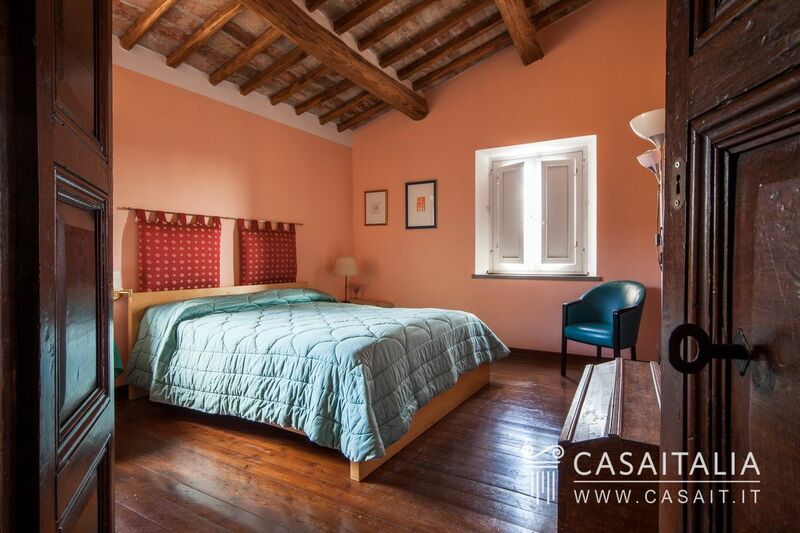 Thanks to its fantastic, hilly and panoramic location close to many of Umbria’s important historic centres, this property would be perfect as a guest house, with the opportunity to host tastings and events, or as a private residence, with separate areas for guests and staff.